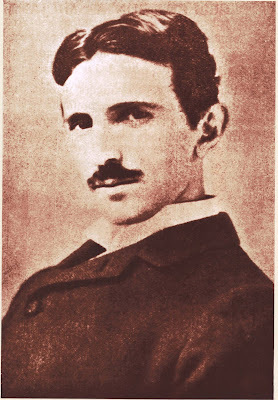 Nikola Tesla's autobiography, "My Inventions", was originally printed by ELECTRICAL EXPERIMENTER magazine in six parts, commencing in the February 1919 issue through until the June 1919 issue, and concluding in the October 1919 issue. It presents a brief look at Tesla's life, his discoveries and inventive processes, and how he envisioned his discoveries being used in the future. George Trinkaus, "The Tesla Mystique"
The Experiments of Tesla & Hodowanec"
Whatever you end up doing this Sunday, we encourage you all to take a moment to remember and recognize this great man, and to consider how you might participate in the important work of not only preserving his legacy, but continuing to expand upon it into the future.